New book, 338 pages. 109 B&W photos, 58 illustrations, 4 maps. Suffused with a warm, though not uncritical, appreciation of all things Egyptians, this is a brilliant account of the civilisation of ancient Egypt from earliest times to the conquest by Alexander the Great. Professor Montet discusses the natural and political conditions of Egyptian life. He then describes the development and expansion of Egypt, and the reactions of neighbouring peoples, gives an account of the Egyptians attitude to their gods and the afterlife, and of their contribution to literature, science and art. 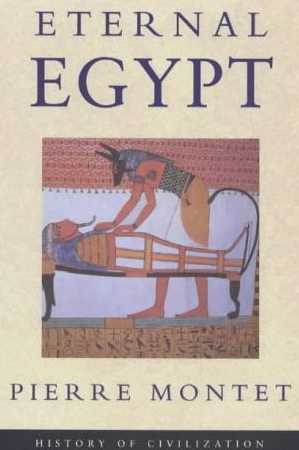 Finally he looks at Egypt through the eyes of the ancients and in the light of recent research. An invaluable introduction to one of the greatest and longest-lived civilisations in the world. This item was added to our catalog on Saturday 05 May, 2007.